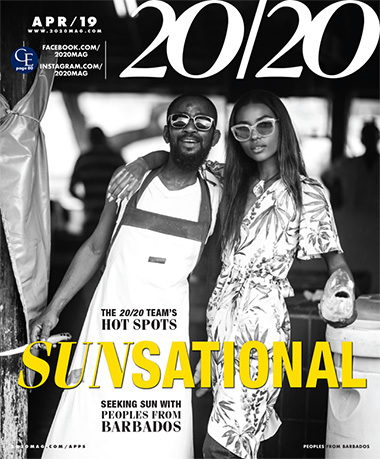 As the world's leading optical publication, 20/20 inspires eyecare professionals, advertising clients and eyewear consumers to successfully brave the exciting and ever-changing scenario of eyewear and sunwear. Number one in readership, 20/20 reaches a circulation of 50,000 subscribers and now countless consumer followers via Facebook, Twitter, Instagram, Pinterest and 2020mag mobile apps. With 40 years of optical expertise, 20/20 continues to establish itself as an invaluable source in delivering the best in fashion trending, branding, style, lenses and technology, product news and continuing education with a unique and personalized delivery. In a powerful blend of print, digital and social media, 20/20 energizes the optical arena with bold images, striking eyewear and an up-to-the minute editorial point of view. The first optical publication to identify the universe of dispensing units in the optical marketplace, 20/20 has analyzed its circulation data to identify subscribers not only by individual names but also by unit locations. 20/20 continues to be the number one source for optical research and information through its statistical reports and unique MarketPulse surveys. Our resources tap into invaluable, groundbreaking information that provides marketing direction, while helping to define the market itself. 20/20 is the one necessary guide that looks ahead at retail and industry trends to predict the exciting future the eyewear industry holds. 20/20 is a publication of Jobson Medical Information, LLC. For advertising information, download our media planner.